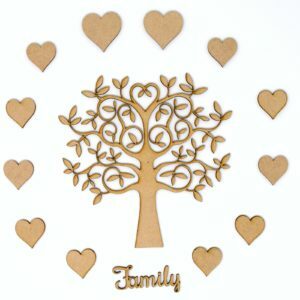 We have seen many lovely examples of our trees being used for creating family trees, framing, at weddings and in general craft projects. Measurements are taken from widest point at top/bottom and left/right. Our MDF products generally have a ‘clean’ side and the reverse shows some laser burn marks. 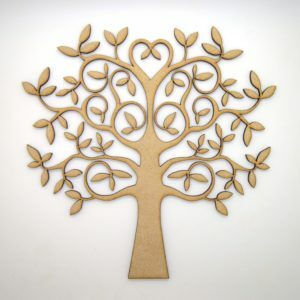 These can easily be decorated over if required or removed by lightly sanding them with fine sandpaper. The trees are cheaper the more you buy. 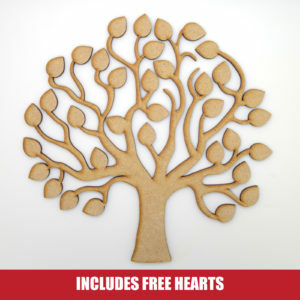 For example, the 200mm ones are £3.65 each, but if you buy between 2 and 4 they are £3.38 each or for 10 or more the price drops to £3.19 each and so on. Simply add the quantity you want to your basket and the price will adjust. 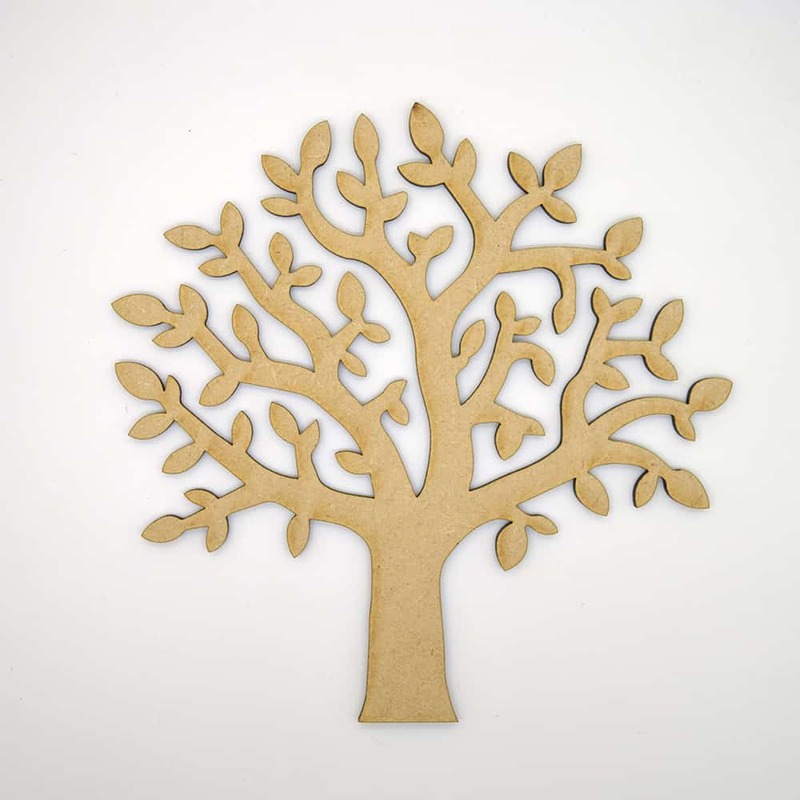 This tree design is protected by UK Unregistered Design Rights. Whilst we give permission for people to purchase this product to make and sell their own products, we do not give permission for anyone to copy the shape and sell it ‘as is’. The table below shows the prices of each size depending on the quantity bought. 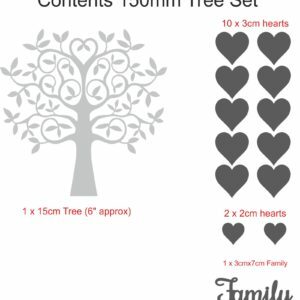 For example if you buy 35 of the 150mm trees, the price will be in the 30-40 range and is £2.36 each.